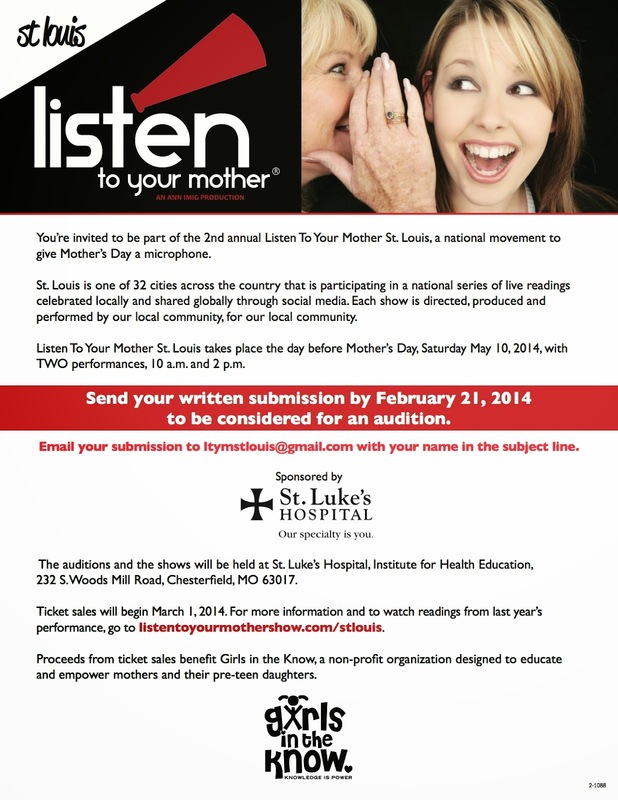 Listen To Your Mother--a national movement that gives motherhood a microphone--is taking submissions through Feb. 21. "This is a great opportunity to take your words from page to stage," said Ellie Grossman, co-director/producer. "We are looking for stories about motherhood--the beauty, the beast, and the barely rested. You don't have to be a mom--we're looking for anyone who has a powerful, inspirational, emotional, funny, sad, heartwarming story about motherhood."